Beautiful DJ Cuppy spent some time chilling with the stars of the Hollywood society while attending a special private movie screening. The celebrity Dj attended a special screening of “Girls Trip”, a Hollywood movie starring Jada Pinkett-Smith, Queen Latifah, Regina Hall and Tiffany Haddish, amongst other Hollywood axtresses. The screening happened on Tuesday, July 25 at the SoHo Hotel in Los Angeles. 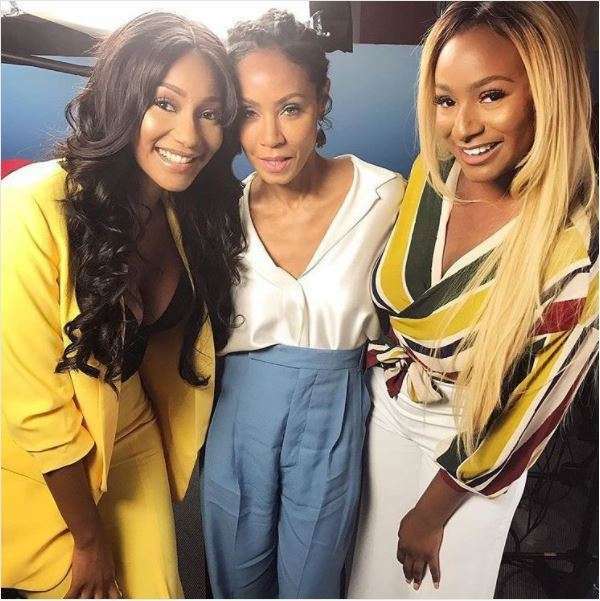 DJ Cuppy and Charlotte Kamale had a small chat with Jada while posing for a snap with the veteran Hollywood actress.